Very hard to see, but if one studies this photo he will see little bird(White specs) living in mud nests, Could not get too close, they used poop as ammo and did bombing runs against anyone who attempted to invade their space. Sure glad I had my addias storm fit hat. 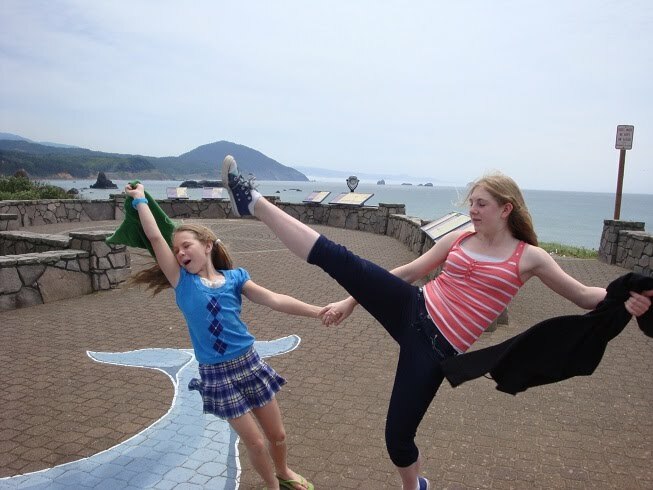 Holly and Sarah performing at the Port Orford visitor center. 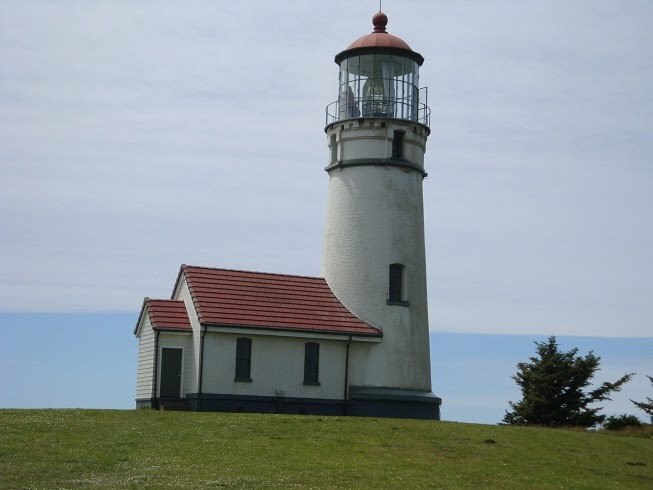 Cape Blanco light house. It ate my family, but returned them an hour later. I took the picture looking west from the gift shop. I stayed out too many steep stairs for me. 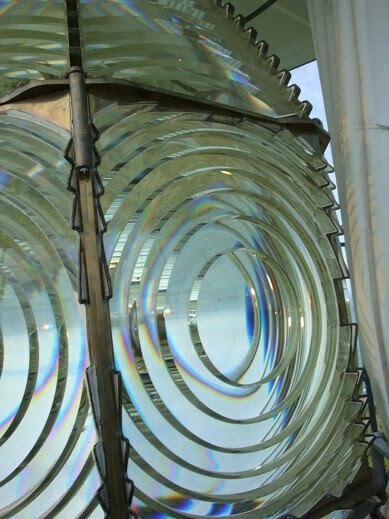 Lens of the light house spreads light 20 miles out to see and was tended by Mr. Langolis for 40 years. He was the longest on duty light house in the pacific. Just a few miles north, there is a city named after him. Holly and Sarah Performing on the wharf in Bandon. The Fish in the background were drawn and colored by the 4th grade class, cut out by the high school shop class. The paint was donated by True Value, and the plywood by a local lumber supplier. That is a great community effort!